Since the dawn of the internet, the music industry has faced a myriad of changes and issues. But one of the most incredible music industry products to come out in the last 15 years is Spotify, the Swedish music streaming service with an impressive catalog and explosive popularity. How did Spotify, a publicly traded company valued as high as $30 billion, get to where it is today? Spotify offers more than 35 million songs, meaning that virtually every genre and region is covered in terms of music preferences. You could listen to music nonstop for your entire life and never even come close to scratching the surface of what’s out there. But what makes Spotify iconic in this regard is that they understand how overwhelming their library can be – where do you even begin? From charts that offer rankings of the most-streamed songs in every country (or globally), to Discover Weekly playlists, which offers every user a customized weekly playlist of suggested songs based on their music tastes – Spotify is essentially guiding users to the content that they want. Having charts gives users a snapshot of what’s popular all over the world, and helps users discover some new favorites along the way. Music is naturally community building – for many, it’s a passion. It can create memories or remind you of certain times in your life. Music brings people together in ways that many other things cannot. It’s an insanely powerful thing. By using both technology and people together, they are able to create next-level curation for music that covers any genre, mood, season, occasion, location – you name it. Spotify has an entire team of music curators across genres and backgrounds, who spend their days listening to music and painstakingly putting together playlists for users. Want to get a taste of what that’s like? Check out this great video from BuzzFeed that explains the role in more detail. A great example of this brilliant curation is one of Spotify’s most popular playlists: RapCaviar. With more than 10 million followers, this playlist has been called a “movement” by The Verge and “the most influential playlist in music…which turns mixtape rappers into megastars,” by Vulture. Those are quite some claims, but they’re pretty accurate – there are several instances of artists making it to the Billboard charts for the first time because they were featured on RapCaviar. 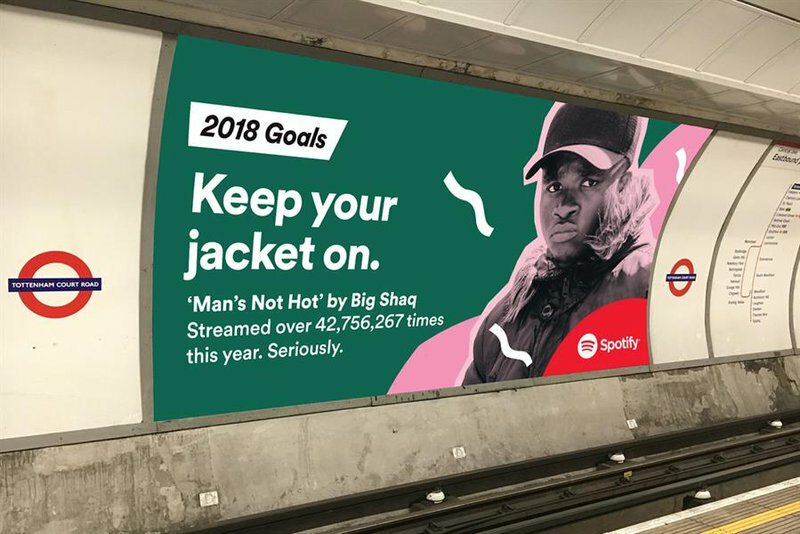 This further shows that the human aspect of curation is still very much alive and well – having someone who is passionate about a genre or topic curate the music is what is going to create the biggest buzz and have users feel like the content is fresh and dynamic. Sure, Pandora created an algorithm to suggest similar songs to listeners, and Spotify has something similar with its radio feature, but there’s only so much that technology can do to bring you new, exciting music options. But Spotify’s curators aren’t the only ones creating playlists, there are several musicians who also create and manage playlists. The community aspect also comes from the users themselves. Music can be a big part of someone’s identity, and Spotify has learned to use this in a fun and engaging way. Unless you’re on private mode, your friends can see what you’re listening to and follow playlists you create. There are also end-of-year playlists that give you interesting stats such as most-streamed songs, favorite artists and how much of the year you spent listening to music. Spotify has used this information to their advantage in their ad campaigns over the last couple of years. Starting in 2016 with a campaign to thank 2016 for being a “weird” year, this campaign quickly turned into a huge, buzzy success with multiple iterations. And let’s be honest, they’re hilarious – I can’t get enough of them. From the location-based ads to the ads calling people out for their listening habits, they give Spotify a distinct voice that users quickly identify and resonate with. 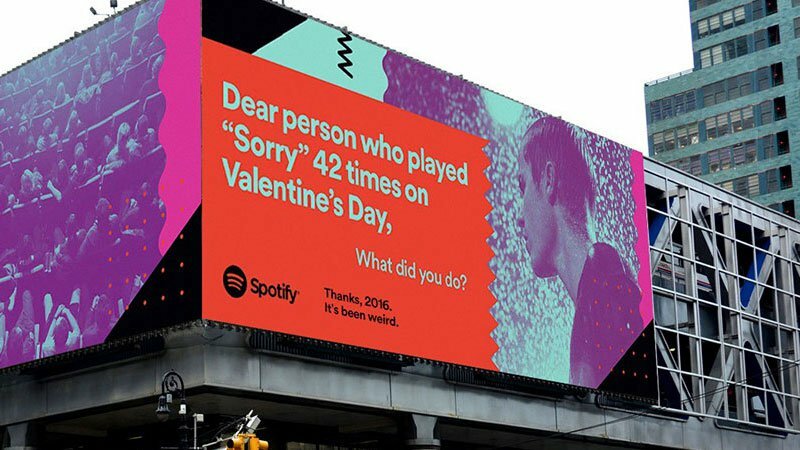 Spotify managed to use its user data in a fun, quirky way – which further adds to the sense of community. You don’t even need a phone to control it. If you have a smart assistant speaker, you can simply ask Google/Alexa/whatever to play a song for you and it will connect to Spotify with ease. Simply put: you can listen to Spotify anywhere and everywhere, with little to no friction in switching between devices. And listening to Spotify is going to get even easier soon: Spotify and Samsung recently announced a partnership that will have Spotify natively integrated into Samsung products. Partnerships like these demonstrate that Spotify understands how important it is to offer an easy-to-use and accessible product. By focusing on the users and their lifestyles – and understanding that people can listen to music anywhere in a variety of contexts – they are ensuring that their product is front and center, always ready when users need it. This is quite different from, say, Apple Music or Tidal, as they have yet to release a free version of their products. For ~$10 a month, depending on your region and whether you’re on a Family plan or a student, you get higher sound quality, offline listening and no more ads. By creating an easy, straightforward paid plan, Spotify has managed to create an offer that covers just about any lifestyle and budget. Whether it’s a free plan or a paid plan, it’s all part of the same aforementioned community and the benefits of both are certainly there. It can sometimes be difficult to keep up with all of the crazy new ideas and partnerships Spotify is coming up with. It’s a bit out there, but it can expose users to new musical genres and regions, so in the end, it kind of works – plus the website is kind of fun to play with. This also extends into the music itself – through a partnership with Genius, while listening to select songs on your mobile device, you can read the lyrics alongside interesting trivia and interpretations of the song your listening to in real-time. But there are more than unique partnerships on the horizon for Spotify. A select few artists are now able to upload directly to Spotify, à la SoundCloud. This new feature means that there are tons of unsigned, independent artists who can now share their music with the world without using a middleman. In any case, it’s a huge deal for the music industry. Not only are they now going to be competing with SoundCloud, but they are further democratizing the music process, given their clout and influence in the industry. There are a plethora of things that have transformed the way we listen to, and interact with, music over the years. And Spotify has been an integral part of that – which has led to them easily reaching iconic products status. Spotify continues to push the boundaries of what consuming music means, and we’re excited to see what else they come up with in the future!